Timekeeping devices have emerged since the ancient world, but it was not until the Middle Ages that the technology was invented that allowed for mechanical clocks to accurately keep track of time. The knowledge of not only what hour it was, but even what minute and second it was, would change the way people scheduled their days and work patterns, especially in urban areas. 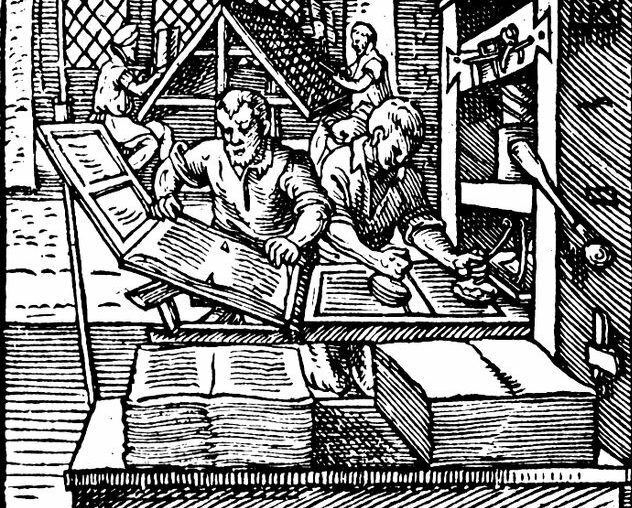 While printing technology had been developed in 11th century China, it was the 15th century German Johannes Gutenberg and his printing press that started a new era of the mass production of books. Until the rise of computers in the 20th century, books and the printed word would remain the dominant form of media for the world’s knowledge. Gunpowder was invented in China sometime between the 9th and 11th centuries, and it did not take long it to be used in weapons. As the Mongols spread its knowledge throughout Eurasia in the 13th century, it would revolutionize warfare and make previous military technology obsolete. While mills were in used from antiquity, it would be in the Early Middle Ages that they became very popular. Throughout the medieval period, new and ingenious forms of mills were invented, which allowed people to harness the energy from natural forces like rivers and wind, a process that continues to the present-day. It did not take long after the drink of coffee emerged in 15th century Arabia that coffee houses became popular in Arabic and Ottoman lands. These kind of establishments would spread into Europe during the early modern era, changing not only how people ate and drank, but creating new ways of social interaction. Although we are not sure who can be credited with the invention of eyeglasses, this device could be found in Western Europe the latter years of the 13th century. Its ability to correct vision problems makes it a much it one of the most useful medieval inventions and a great benefit to hundreds of millions of people today. The Library of Malatesta Novello in Cesena, Italy is considered to be first ever public library in the world. Opened in 1452, the building was owned by the city commune and allowed for readers to freely make use of its collection. Today, public libraries are common throughout much of the world. One of the architectural innovations associated with Gothic churches from the 12th century, the flying buttress allowed buildings to have much higher ceilings, thinner walls and larger windows. The ideas behind these innovations would influence architectural design into modern times and allow for the construction of larger and more spacious buildings. The first known version of paper money dates back to 7th century China. It has a very important advantage over coins made from precious metals – they were much easier to transport around, which proved to be a great benefit to merchants. However, the concept of placing value on a marked piece of paper was slow to catch on. In the 13th century the Mongols tried to introduce paper money into the Middle East, but it became an immediate failure. It would take until the 17th century before regular bank notes would be circulating in Europe, but it is now the common way currency is issued. While these devices were known about in ancient times, it was during the Middle Ages that Arabic astronomers refined and improved upon them. Being able to measure the distance between two objects, they proved to be useful instruments in astronomy, navigation and surveying. Eventually these devices would be replaced by more modern inventions, but the concepts behind the quadrant and astrolabe have remained important for science and technology.